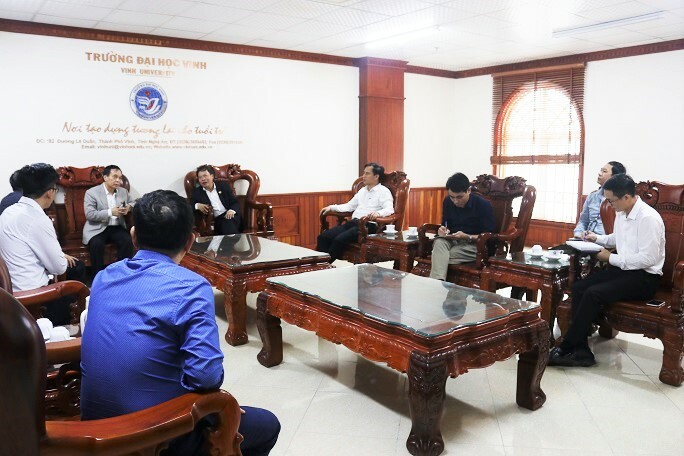 On December 27, 2018, Vinh University received a delegation of Nguyen Tat Thanh University. The delegation includes Assoc. 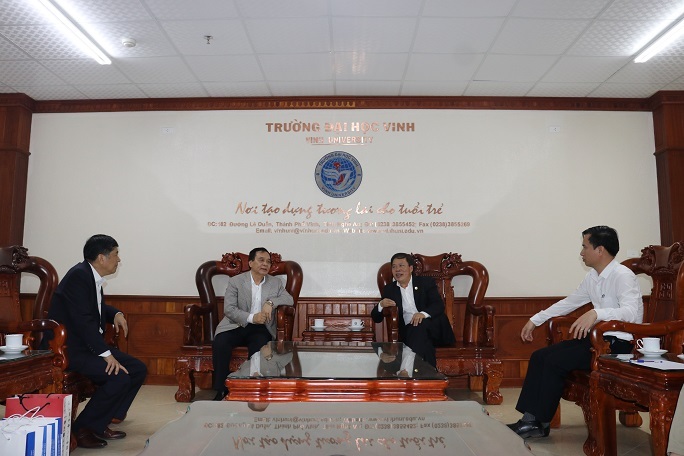 Prof. Dr. Nguyen Manh Hung, Rector; Prof. Dr. Nguyen Loc, Vice Rector and Mr. Nguyen Quynh Son, Deputy Director of Student Recruitment and Counseling Centre. 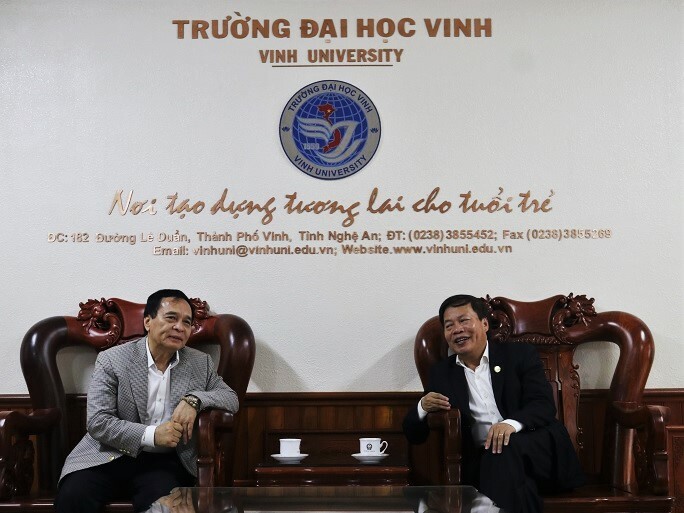 From Vinh University, Prof. Dr. Dinh Xuan Khoa, President, Assoc. Prof. Dr. Nguyen Huy Bang, Vice President, Tran Ba ​​Tien, PhD., Director of Academic Affairs Department, Nguyen Van Hai, MSc., Deputy Director of Research and International Affairs Department; Le Minh Giang, MSc., Deputy Director of Administrative Affairs Department and Ho Xuan Thuy, MSc., officer of Academic Affairs Department took part in the working session. At the meeting, the leaders of the two universities agreed on the cooperation viewpoint on three main areas: Support in university ranking, scientific research and student exchange. On the basis of the actual needs of cooperation and capacity of each school, the leaders of the two schools agreed to sign the minutes of the cooperation on the three proposed contents. 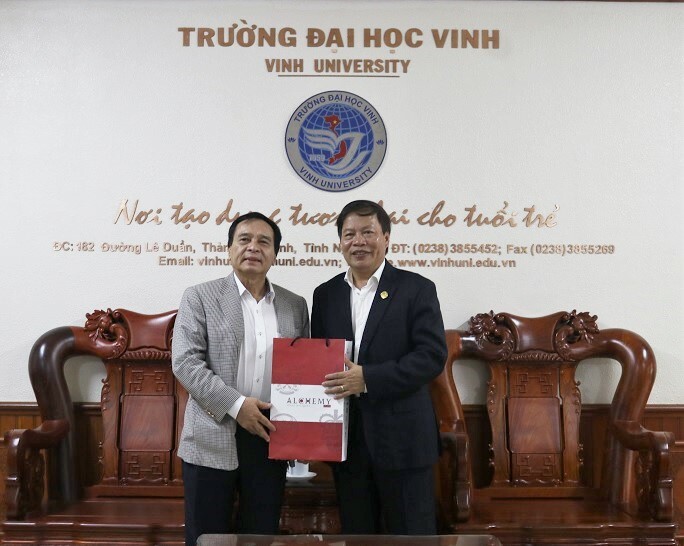 Accordingly, Nguyen Tat Thanh University supported Vinh University in the ranking of universities and the publication of research projects, Vinh University supported Nguyen Tat Thanh University in recruitment of international students. Cooperation programs will be specified in the cooperation agreement expected to be signed in January 2019. At the end of the meeting, the leaders of two schools pledged to promote the procedures for signing agreements and implementing related contents in the new year 2019.